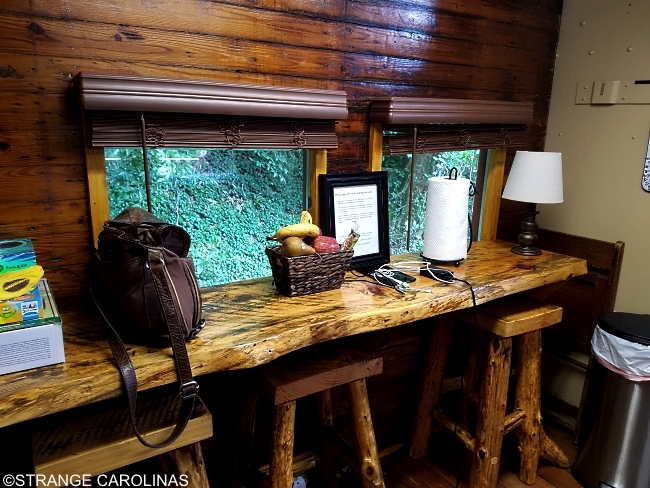 When we were planning last week's trip to Sylva/Cherokee/Bryson City/Asheville, we decided early on to rent an Airstream so that we could experience glamping like all the hip kids are raving about nowadays. But just as we were deciding which camper to choose, one of our Junior Investigators found a caboose for rent on Airbnb. 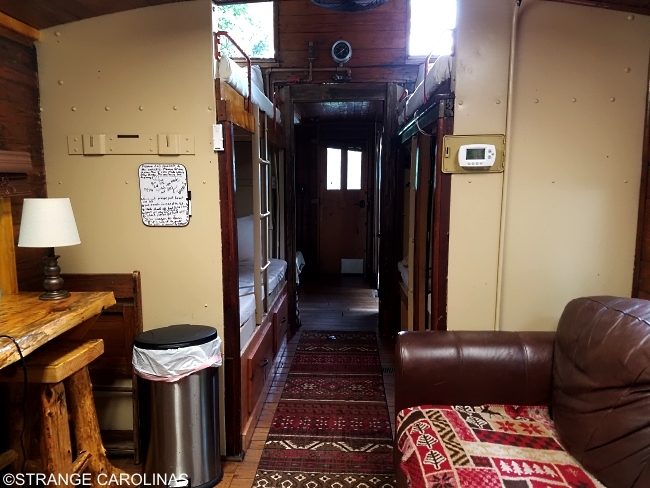 The thought of staying in a caboose seemed pretty cool, but once we found out this was the same caboose from the train wreck in The Fugitive, it was a done deal since we were already planning on visiting the engine/bus wreckage in Sylva. So what was it like spending the night in a caboose? Fun! There was no TV, so we walked around town (it's just a stone's throw from Main Street and Everett Street), explored the sights, and later played cards. There's a fire pit but we were too tired from being on the go all day long to start a fire. 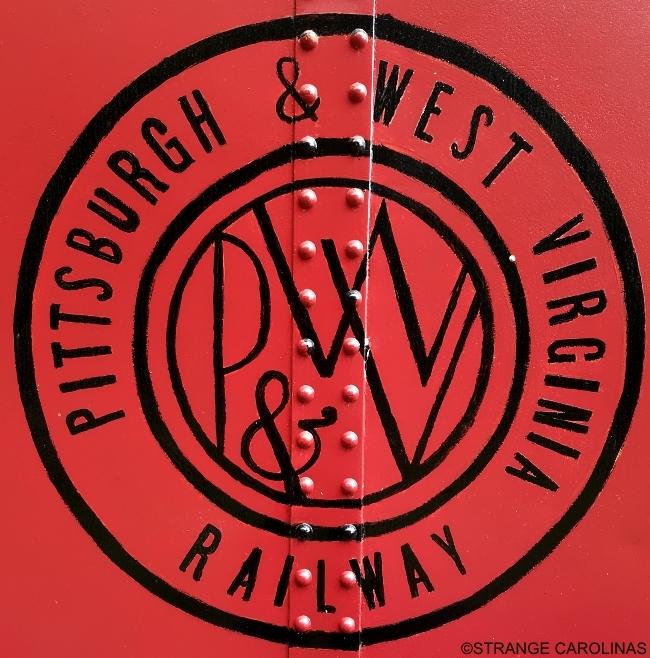 If you're thinking about staying in the caboose, make sure it's with someone you like as there's not much space (it's a caboose, after all!). 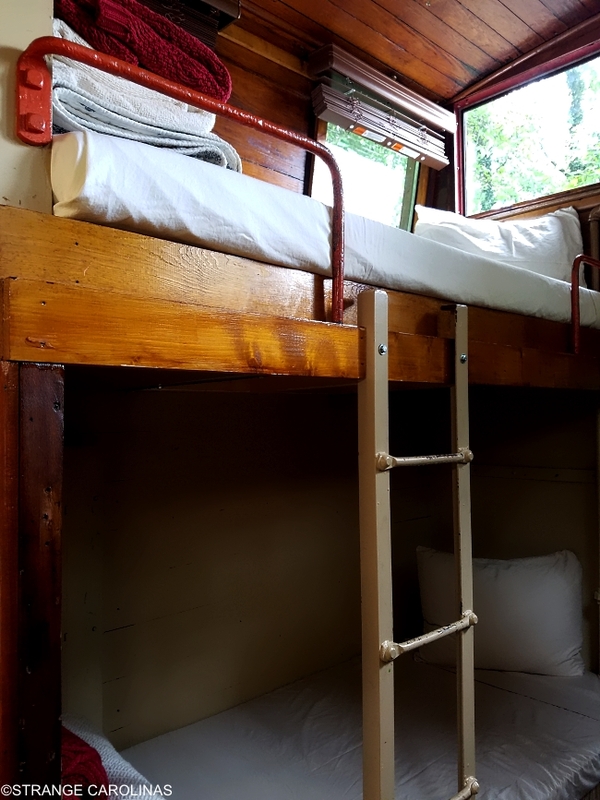 There's four single beds in the caboose, a living room, a bathroom, and not much else. 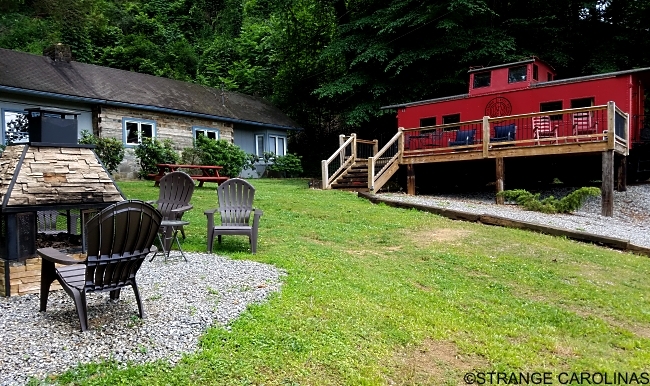 Want to stay in the caboose from The Fugitive? Click here for more details. We had a great time and highly recommend it!